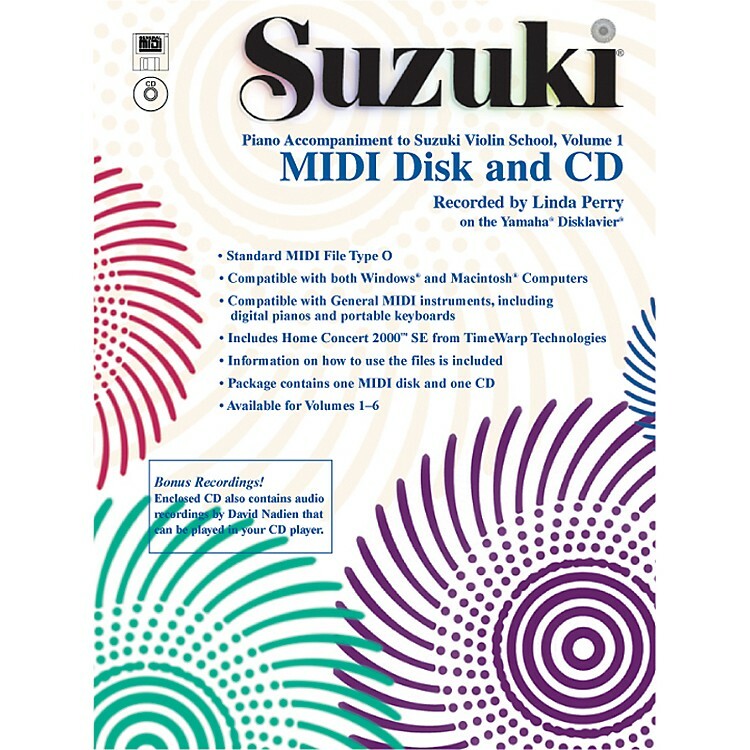 MIDI/CD-Rom play-along accompaniment for Violin School parts 1-6. Here is the perfect tool to get students to practice more frequently! Recorded by Suzuki Accompanist Linda Perry on acoustic piano, these performances were recorded without reference to a metronome and have human feel to them. MIDI discs are very flexible to use - you can control the tempo, transpose, add a metronome click and cancel the playback of the left or right hand parts. PLEASE NOTE! The printing on the interior page of the book is incorrect. There are audio files for only the unaccompanied music in the book!